Throughout Richie McCaw’s 16-year success-filled career with Canterbury, the Crusaders and New Zealand, he worked with five different head coaches and numerous other assistants. Every single one was a Kiwi. Robbie Deans was his first Canterbury coach, but he soon paired that with the Crusaders job. He was assisted by current All Blacks boss Steve Hansen. John Mitchell moved from the Chiefs to the New Zealand job. Graham Henry was coaching defence with the Blues. He would succeed Mitchell and bring in Hansen as his assistant. The point is this; In New Zealand, you must punch the clock to progress and you must be local. That is why it was so astounding, and complimentary, to see the Crusaders opt for Ronan O’Gara as backs coach. Richie McCaw remains close to his lifelong club, with his former team-mate Scott Robertson now head coach. Speaking in his role as AIG Ambassador, the New Zealand legend is quick to reference that established system of indigenous coaches and hails O'Gara's conviction to break the mould. "For the first thing, you have to take your hat off to Ronan for making the decision to go and try something completely different. It is a long way to go out of your comfort zone to Christchurch. The move is usually for Kiwis to come to this part of the world." I just know he is obviously a top bloke and he has fitted in extremely well from what I have heard and seen with the Crusaders. I think it probably took a little while to find his feet but from what I hear, from guys like Scott Robertson and the players, his input as the season went on and different ways of looking at things was invaluable. He was in a set-up that managed to defend a title in Super Rugby. It is not bad to have on your resume, is it? Right now, the jarring sound of various rugby unions squirming can be heard around the globe as the future of several head coaches is up in the air. This is the verbose World Cup countdown effect and it is strife in New Zealand. McCaw maintains that Steve Hansen's future is undecided but should the top job in world rugby become available, there is no shortage of candidates. "When you think of a guy like Scott Robinson who has done back-to-back with the Crusaders. John Plumtree who has coached a lot in the South African Super Rugby and back with the Hurricanes. You got a guy like Jamie Joseph who has coached a lot with the Highlanders and was successful there and a coach in Japan. 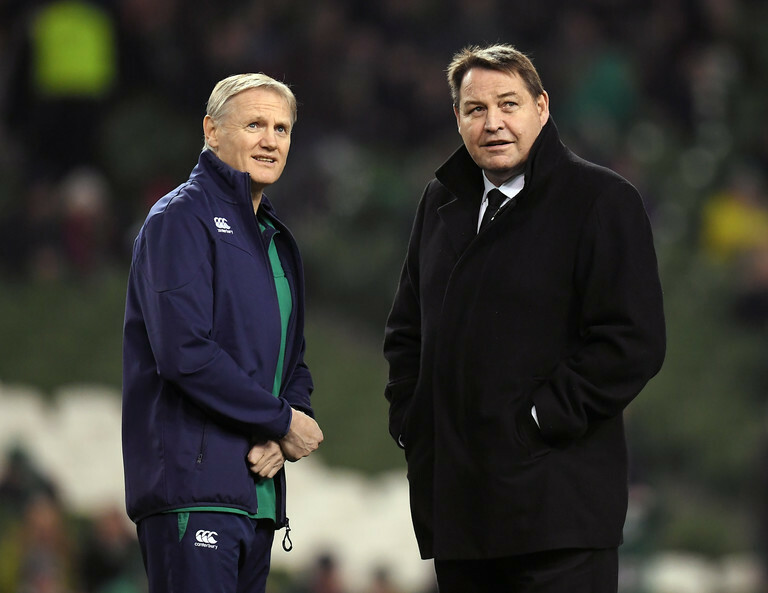 You got Joe Schmidt, Warren Gatland all those guys potentially could be eligible." "Then you got a guy like Ian Foster who is current co-coach he might put his name in the hat too. It will be hard work to decipher who is the right man for the job but it is a great position to be in if Steve decides he has had enough." The primary concern on this isle is the future of one Josef Schmidt. He has had a minor stretch coaching in his native New Zealand as an assistant coach with the Auckland-based Blues but has enhanced his reputation tenfold since braving European posts. Schmidt confirmed he will make a decision by the end of the year on his Irish future beyond the World Cup. McCaw does hesitantly cite Foster "from a continuity point of view" when pushed for his preference for the next possible New Zealand coach but stresses the All Blacks would be happy to have Schmidt back in some capacity. There is no doubt that Joe is talked about. People admire what he has done with the Irish team and there is no doubt he is a good coach. At some point, it would be great to see him come back to New Zealand to use all that experience and knowledge he has got and has picked up over the years to offer it back to New Zealand. Whether that means he comes back and becomes a Super Rugby coach first or straight back in as an All Blacks coach I guess time will tell, but there is no doubt he has done a pretty good job with Ireland and I think he is a Kiwi at heart. He’d probably love the opportunity to give it a crack. A result next week would prove the latest affirmation that he is capable of it. 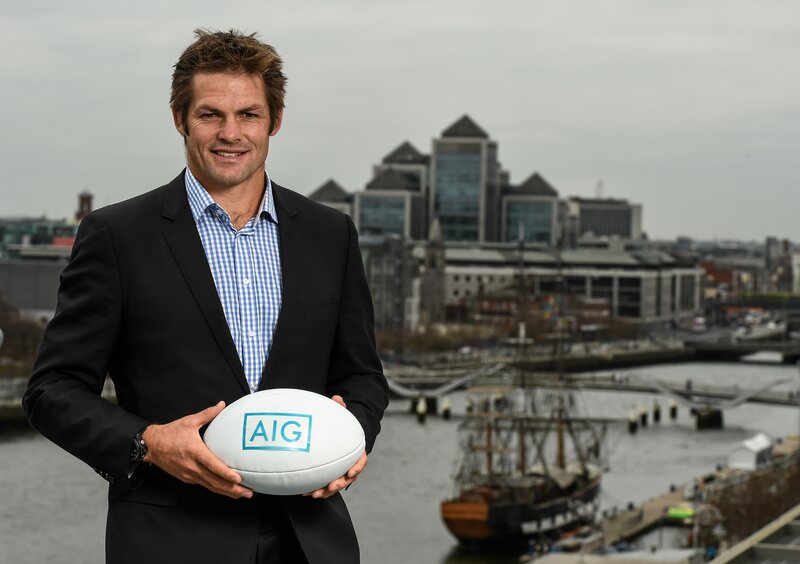 AIG Ambassador, Richie McCaw was speaking ahead of the All Blacks visit to Ireland. The All Blacks will take on Ireland in Dublin on Saturday 17th November 2018. AIG is proud sponsor of the New Zealand All Blacks.